What does it take to save the tiger? Tiger – India’s National animal and a flagship-umbrella species which facilitates the conservation of a large number of other species and that of our forests and wildlife resources. While this may answer the query of some tribal activist and several others on why the big cat should be saved on a priority basis, the larger question is what does it take to save the tiger? Clearly, Project Tiger has not been able to do much except save raise awareness on the need to save the tiger. Those who believed that the tiger will have to co-exist with the tribal people must be convinced by now that the tiger neither casts a vote nor selects civil society committees and will not abide. Neither fencing our National Parks (mainly a barrier for the tiger, since usually porous for people), nor installing check posts near the water bodies inside the Parks (makes excellent sighting opportunity for the aged forest guards) has been of any help in maintaining, if not enhancing, the tiger population. The relatively newly constituted National Tiger Conservation Authority responsible for implementation of Project Tiger Plan to protect endangered tigers is said to be without, for lack of better words, teeth. And amidst all of that, the tiger (perhaps not aware that so much is happening) is losing the battle to survive, and humanity the war to sustain for as long as Mother Earth will tolerate us for. 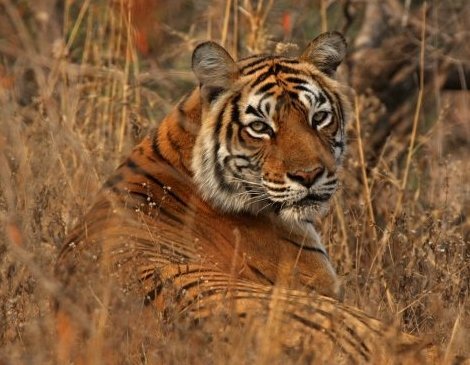 The question still remains, What in the world, does it take to save the tiger?